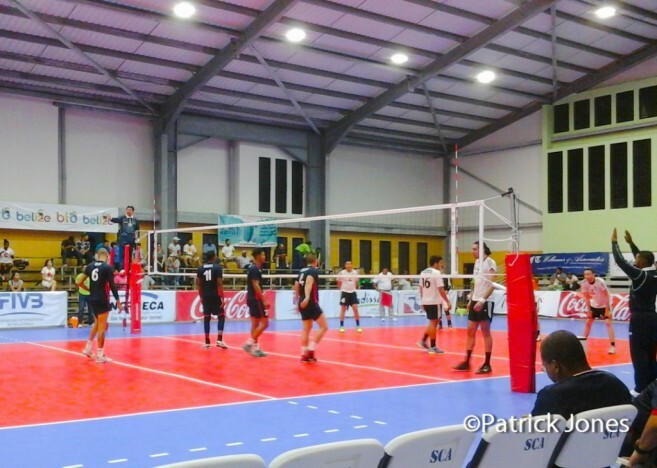 Belize captured bronze at the Men’s Volleyball World Championship Qualification Tournament, after winning their final match against Honduras on Friday, September 30th at the Saint Catherine Academy Centre in Belize City. The title is the first time in 16 years that Belize has accomplished such a remarkable result in a sporting event of this kind. The tournament was held from September 24th through the 30th, and included teams from Belize, the Dominican Republic, Panama, Nicaragua, Guatemala, El Salvador, and Honduras. At the start of the competition, Team Belize had a slow start, but eventually began improving their performance as the tournament advanced. All teams competed in a round robin series in which the most important aspect to advance was the amount of points each team accumulated. Belize gained the spot to fight for the Bronze after El Salvador lost against the Dominican Republic, leaving them at a disadvantage in terms of points. They faced Honduras, who tried their best to leave Team Belize out of the competition. But the home boys fired back, keeping the ball away from the Honduran side of the court. They had an impressive 11-4 blocking margin, which hurt Honduras’ performance. Another advantage Belize had was in their kills (38-30), and in serves (4-1). Honduras struggled to control the game, but in the end, Team Belize overcame and won25-16, 26-24, 25-15, winning all three sets. According to Gabriel Nuñez Jr, a member of the team from Ambergris Caye, they had been training from early this year for the competition. “It was a great experience to be part of a team at the national level,” said Nuñez. “Our hard work, commitment, and concentration paid off.” Nuñez added that there were challenges during the competition, but they managed to overcome obstacles as a team, thus clinching a bronze medal. The top teams in the tournament to grab silver and gold were Dominican Republic and Guatemala respectively. These teams will move on to the next round of Volleyball World Championship qualifiers. Meanwhile, the players from the Belize Team will take a short break before beginning to train for the upcoming Central American Games taking place in March of 2017 at a venue to be soon announced. SPHS Male Volleyball Team: 2016 National Volleyball Champions!